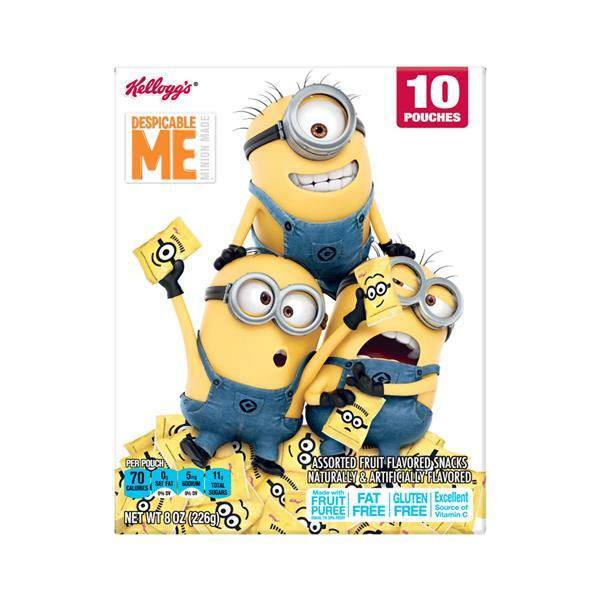 Kellogg’s Despicable Me Assorted Fruit Flavored Snacks are tasty, sweet, and just a little bit tart. 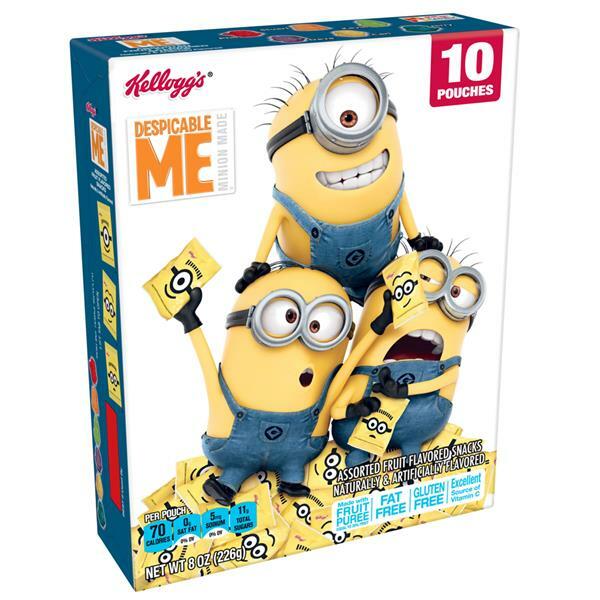 Every pack includes Minion-inspired shapes in different fruity flavors, making this the perfect treat for fans of Gru's lovable, yellow henchmen. A sweet snack made with fruit puree, these fruity bites from Kellogg's provide an excellent source of Vitamin C in each serving and are fat-free and gluten-free. Stock your pantry, desk at work, or everyday carryall with a few bags for an easy snack when you need it. With the tempting, sweet flavors of your favorite fruits, these delicious fruity chews are travel-friendly and easy to stow in your kid's lunchbox, backpack, or tote bag. Conveniently packaged in individually wrapped pouches, it's a snap to grab a bag on your way out the door, keep a few stashed at your desk, or stock your pantry to share with family and friends. 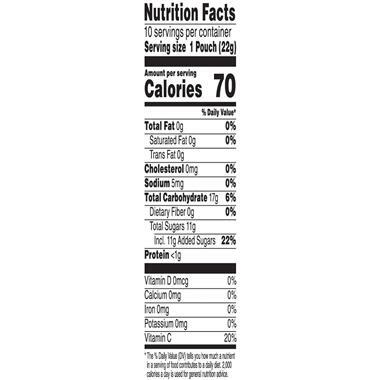 Corn syrup, sugar, apple puree concentrate, modified food starch, water, gelatin.Contains 2% or less of citric acid, natural and artificial flavors, vitamin C (ascorbic acid), palm and coconut oil*, carnauba wax, yellow 5, red 40, sodium citrate, blue 1.